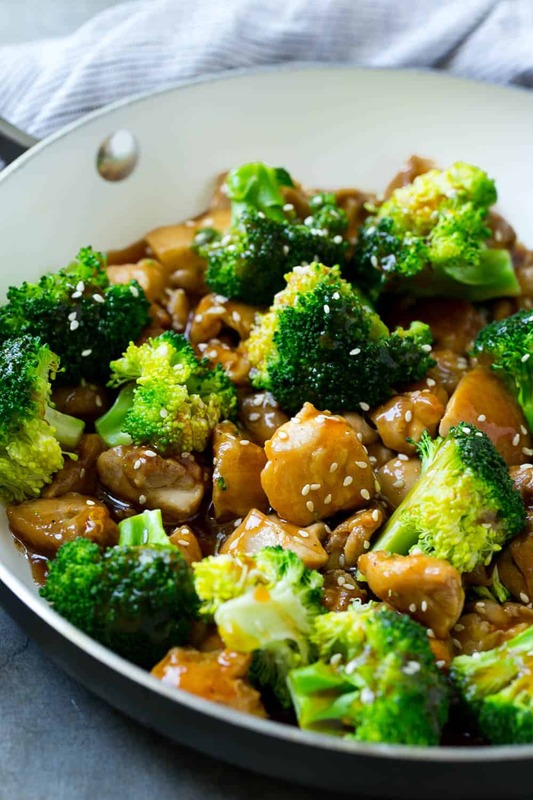 Spice up your boring meal or dinner by making this mouthwatering Chicken and Broccoli Stir-Fry recipe. 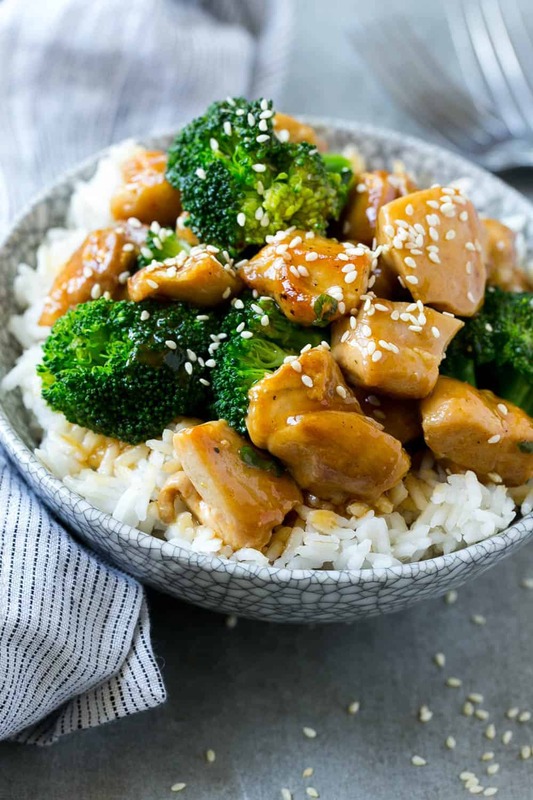 An Asian inspired dish with juicy chicken, tender broccoli, and your favorite homemade savory sauce that will surely please your taste buds. 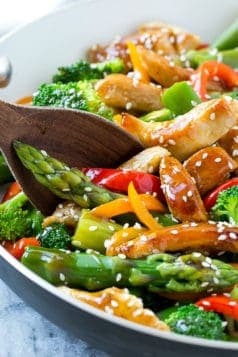 If you are tired of eating the same old chicken and vegetables its time to try this Chicken Stir-Fry recipe. 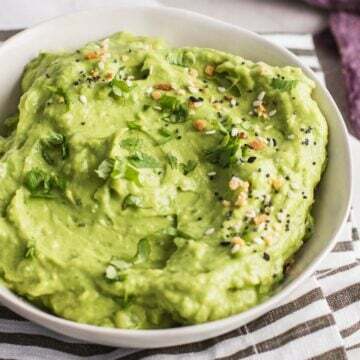 Say goodbye to takeout Asian food and say hello to healthy homemade “takeout” food! Best of all stir-fries are incredibly easy, one pot meals. 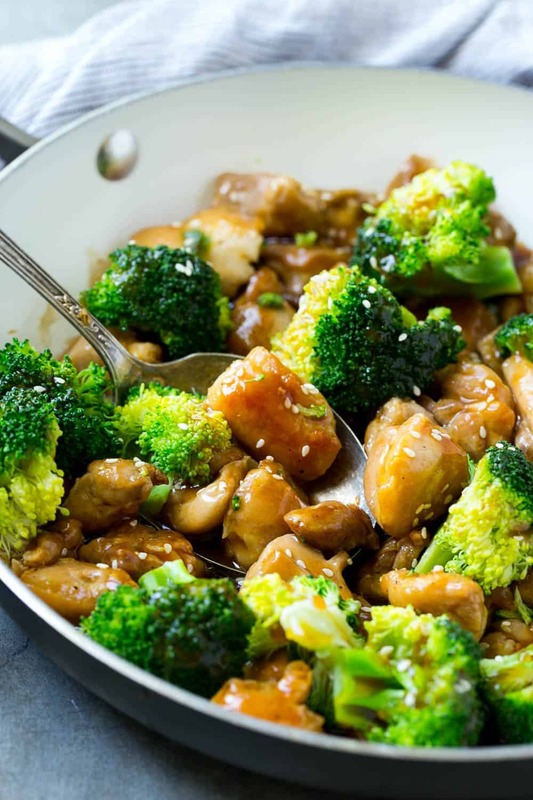 When preparing this chicken and Broccoli Stir-Fry recipe, simply cook the chicken to a golden brown hue, add fragrant garlic, fresh green broccoli florets, and the remaining ingredients to the very same pan the chicken is in. 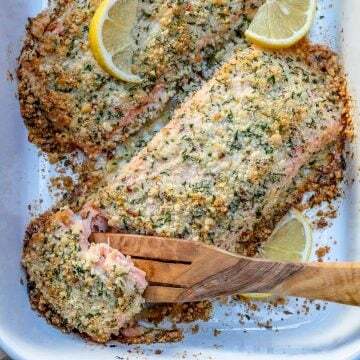 Before you know it you will be indulging in a flavorful, home-cooked meal, in under thirty minutes. 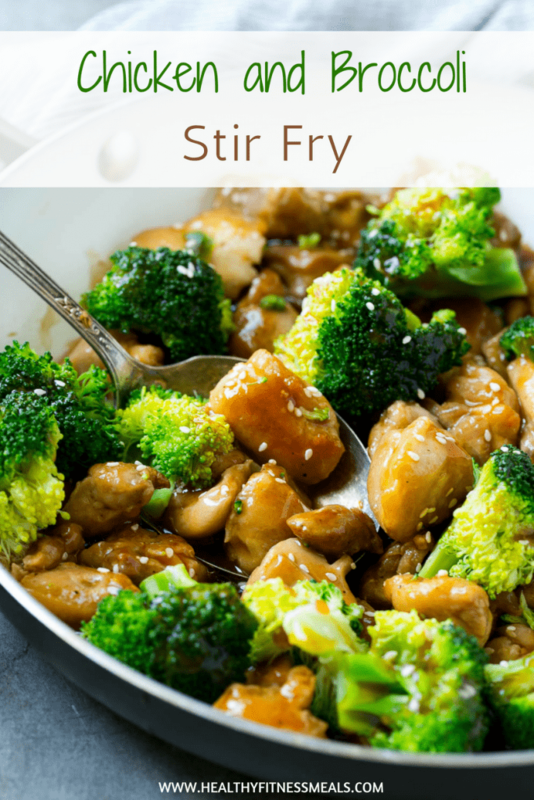 This stir-fry recipe would be a great option for you if you meal prep. 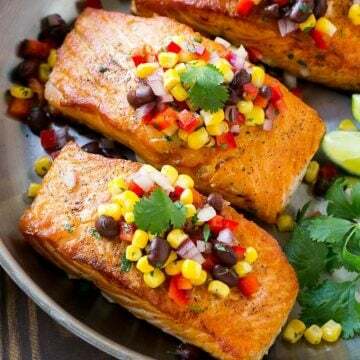 Pair them with some basmati rice, sweet potatoes or quinoa. Who doesn’t love a healthy version of a stir-fry? 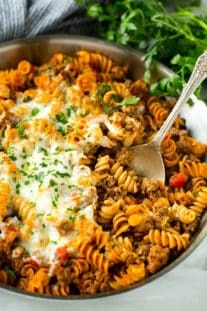 I love using chicken mostly but you can also make this with shrimp if you like or even lean beef. 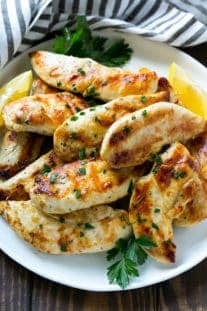 If you prefer using chicken breast instead of chicken thighs go right ahead. Sometimes I just love using chicken breast instead of thighs because its leaner and I spend less time cleaning off the fat off the thighs. It’s definitely juicer with thighs though. 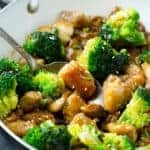 Plan on making this Chicken Broccoli Stir-Fry recipe? 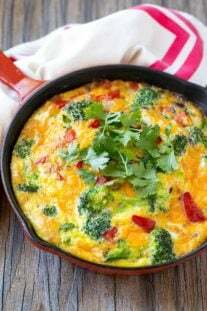 Please tag me on Instagram or use the hashtag #healthyfitnessmeals so I can see your creation. 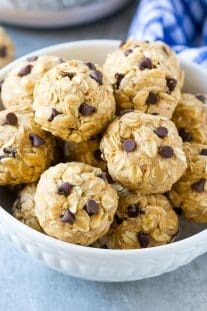 Don’t forget to share this with your friends and on Pinterest. 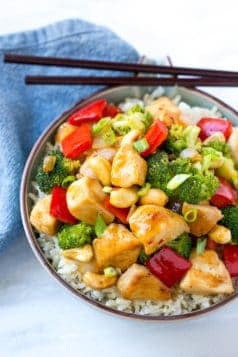 Make your own takeout with this quick and easy stir fry! Heat 1 teaspoon of oil in a large pan over medium heat. 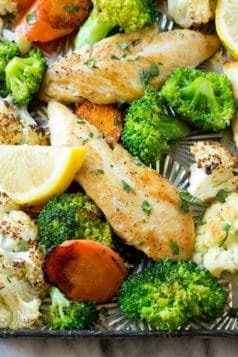 Add the broccoli and cook for 2-3 minutes or until just tender. Season the chicken with salt and pepper and add it to the pan. Cook the chicken, stirring occasionally, until browned and cooked through, 3-4 minutes per side. 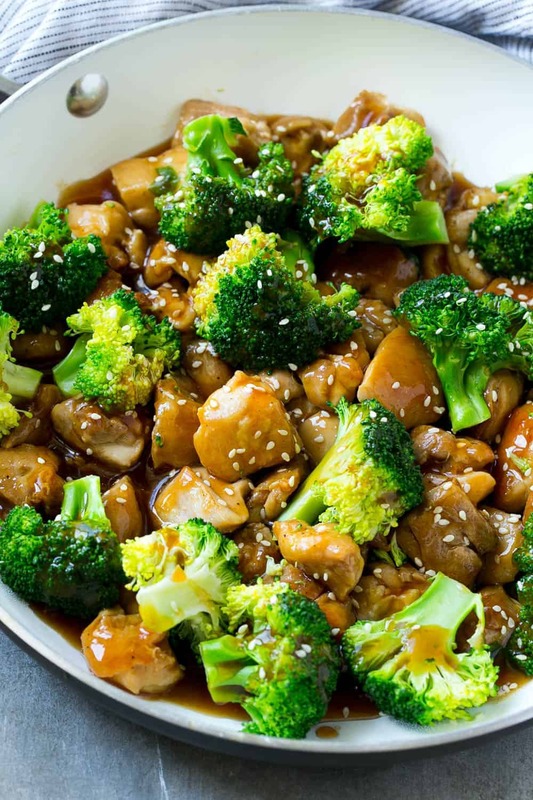 Pour the oyster sauce mixture over the chicken and broccoli; cook for 30 seconds. Add the cornstarch and bring to a boil; cook for 1 more minute or until sauce has just started to thicken. Are you following me on Instagram, Facebook, and Pinterest? ANOTHER ONE KNOCKED OUT OF THE PARK!! 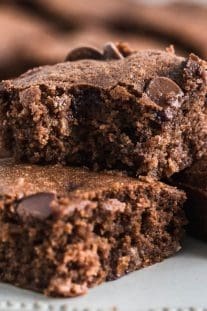 Rena, your recipes are changing my kitchen and really aiding in my husbands and I quest to eat cleaner. This was absolutely delicious! 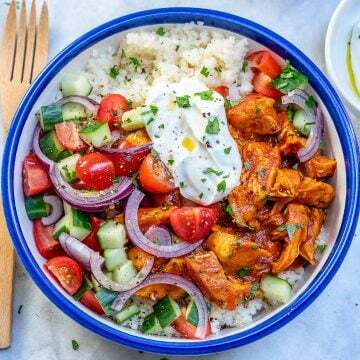 I served it with cauliflower rice to knock the carbs down a bit–never missed real rice. My husband who’s not a fan of cauli-rice, love the flavor of the chicken/broccoli so much he even like his cauli-rice!! I made mine with breasts chunks and they were tender not tough. Also, I skipped the cornstarch step because I was out and didn’t notice anything missing. The flavor in this is off the chain–Thanks again for another keeper! That’s amazing. Love your feedback.